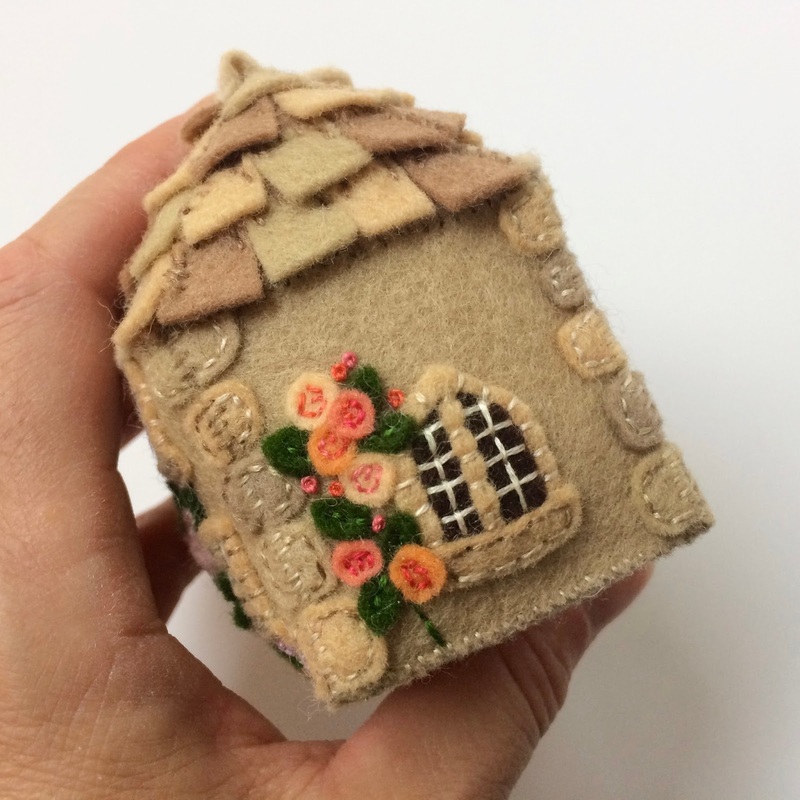 This post follows on from my last one where I shared a little felt house I made. Since then I've been working on some other designs. As always making the first one of anything takes a lot of extra time. 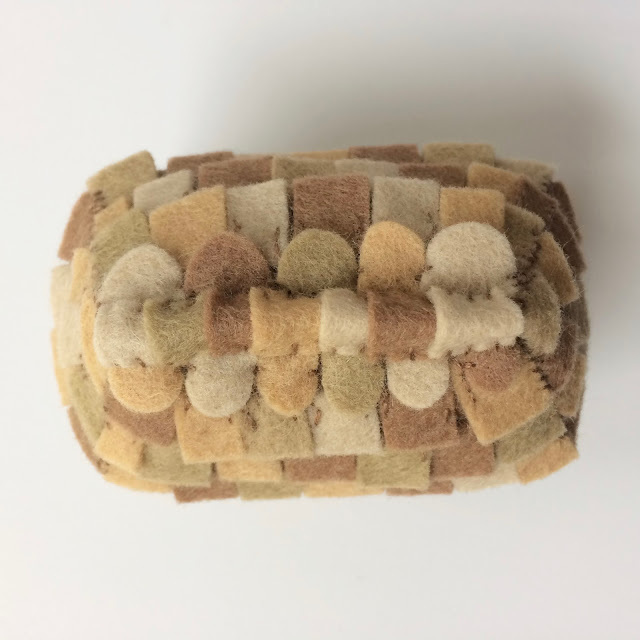 There's the pattern to draft, the felt colors to choose and design details to work out. These little houses seem to have taken a long time but I'm getting faster as I work out the process. These sweet little houses are intended for use as pincushions and are perfectly functional but I have to say, I can't quite bring myself to put them away in the box yet! I am enjoying them on the counter in my workspace! 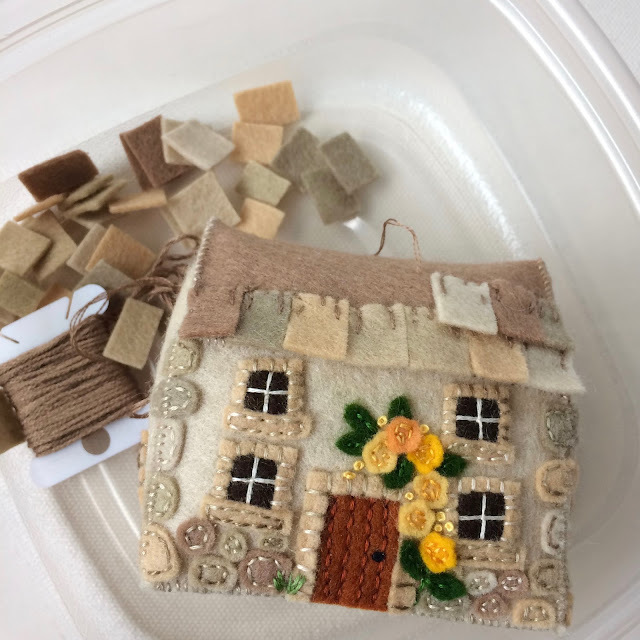 This little cottage was inspired by the golden stone cottages of the Cotswolds. There are roses growing around the front door, some on the side wall and a herb garden in the back. Each roof tile is individually cut and stitched onto the roof. This is another golden stone cottage. The Cotswolds is not the only region of England to have houses made from this color stone and I'm imaging this cottage in the rolling countryside of the Midlands. 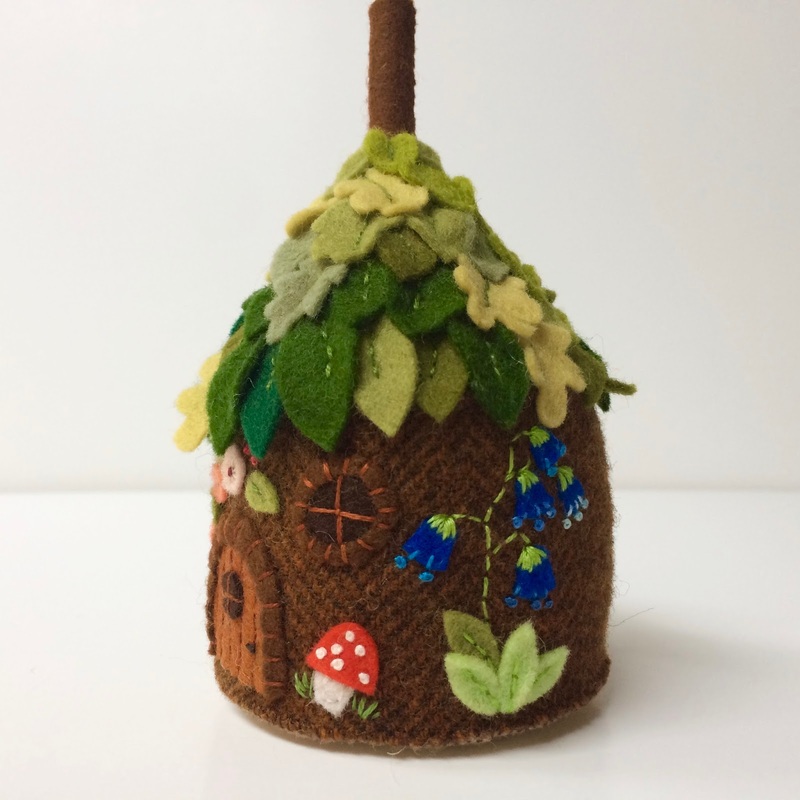 And then, just for fun, I made fairy houses. 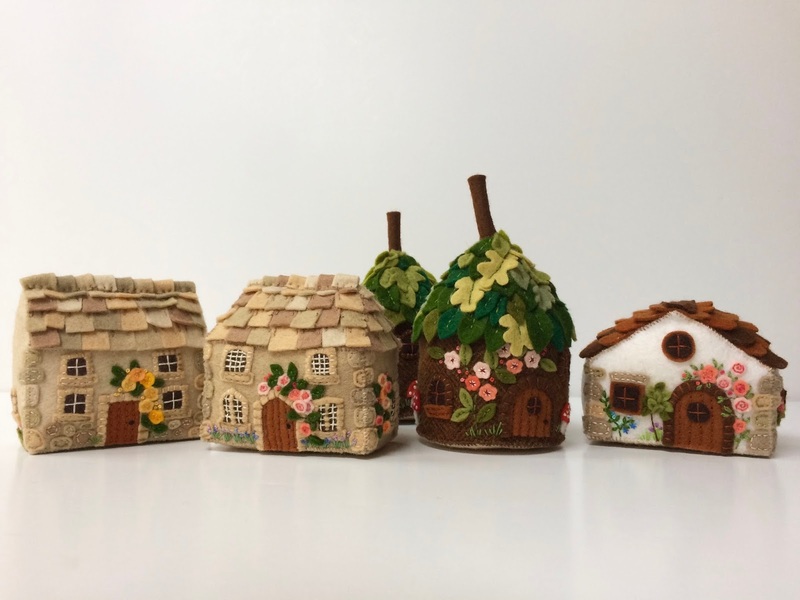 These are little tree stumps with doors and windows and roofs made of leaves. There are lots of flowers and little red and white toadstools. These are so charming! 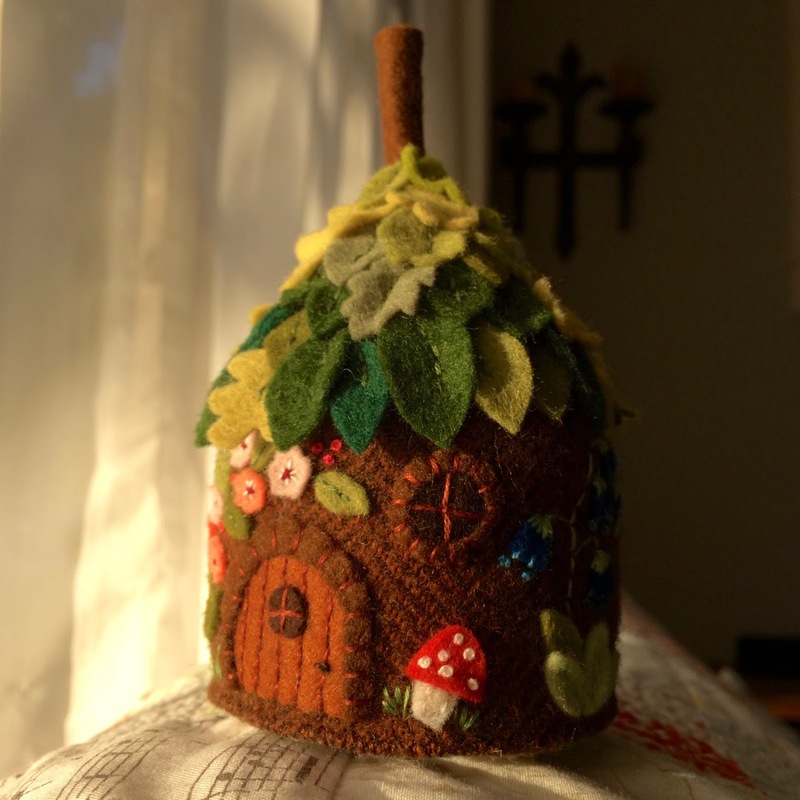 Fairies would feel at home!